The challenging part of social media marketing, however, comes in trying to understand what works. We’ve covered in a previous blog post which social networks your brand should be utilising – but today, we’re going to be looking at how to track the traffic which your chosen networks send to your site, and whether or not that traffic is converting into sales. Using one of the web’s very best free analytics tools, you can glean valuable insights about your website’s visitors that find you via your social media marketing efforts. The tool in question is Google Analytics, and it is indeed the most widely-used web analytics service on the internet today – and for good reason. It’s powerful, relatively simple to use, and of course supported by the world’s largest and most important search engine – Google. 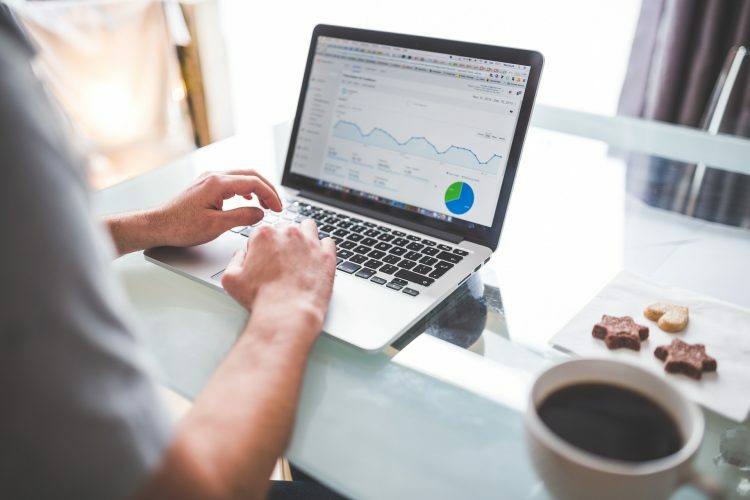 Using Google Analytics to analyse your social media traffic will reveal many crucial insights into how your social media marketing strategy is working for you – and, more importantly, what you need to improve. The ability to identify which social networks are sending the most traffic to your site, and which ones need more attention. Drilling down further, the ability to determine exactly which of your individual social media posts are sending the most (and least) traffic to your site. Gaining a visualised overview of how engaged your social media visitors are by analysing the time they spend on your site, which pages they visit, and what actions they take. Unearthing the truth about your social media audience – i.e. whether or not you are targeting the right audience on social media (are they just passive visitors, or active buyers?). Once up and running, Google Analytics will very quickly become one of your most valuable and important social media marketing tools. It’s possible for you to complete this step yourself – however, we highly recommend that your developer takes care of this part of the process for you. Once set up, however, Google Analytics will enable you to monitor visitor behaviour on your website like never before, and you can then use these insights to supercharge your social media marketing. There are a number of Google Analytics reports you can set up to track the success of your social media marketing. First, however, you need to define what success means to you. For example, is the goal of your social media marketing campaign to raise brand awareness, or are you trying to drive targeted traffic that will convert into leads and sales? Perhaps you’re trying to sell a specific product or service – if so, what do you want your social media visitors to do (i.e. click on) once they arrive at your site? Once you know what you’re trying to achieve, you can set up Goals in Google Analytics. Goals are the specific actions that you want your website visitors to take as they enter your website. Below is a short video giving you an overview of Google Analytics Goals – it covers more than just social media marketing Goals, but it’s useful to help you understand the purpose of the function. Once you set up Goals for your social media marketing efforts, Google Analytics will automatically track the key actions (known as ‘conversions’) visitors take on your website, and attribute those conversions to the appropriate channel – including your social media marketing channels. Once you’ve done this, you can run reports to see which of your channels are generating the most leads and sales for your business. 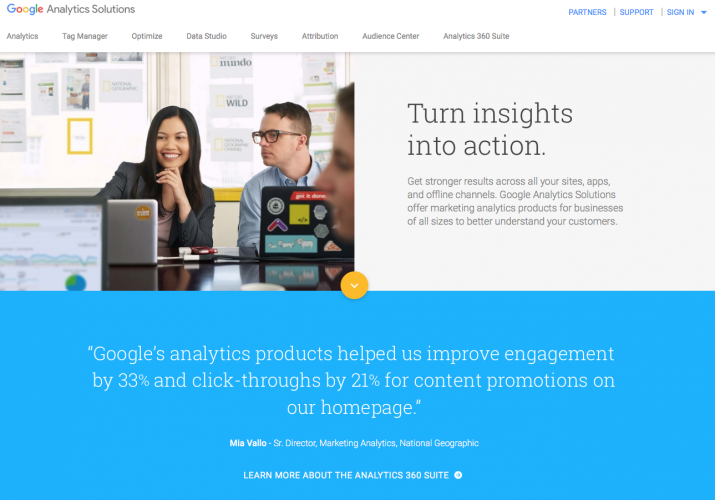 Let’s take a look at three Google Analytics reports you can use to glean some important insights from your social media marketing efforts. The multi-channels funnels report is one of the most valuable reports you can access in Google Analytics. It shows you the precise paths that visitors take on your website on their journey towards an end conversion. For example, you will be able to track a visitor who clicks on, say, a link you’ve posted on Twitter, and the subsequent actions they took on your site – including any content downloaded or purchases made. In addition, it will also show ‘assisted conversions’. For instance, if someone clicked on one of your Facebook posts that promoted one of your products, disappeared, and then came back a few days later after searching for your site on Google, Google Analytics will attribute an assisted conversion to the Facebook post. This is important information to have, for it must be remembered that social media marketing doesn’t happen in a vacuum – rather, it supports and complements all your other marketing efforts as well. By analysing multi-channel funnel reports you will begin to gain a true understanding of your site’s visitors over time, and with this information you can begin to work on your conversion paths, and how your social media marketing tactics can improve them. To access this Google Analytics report, from the side menu click Conversions > Multi-Channel Funnels > Overview. Here’s another video from Google explaining a little more about multi-channel funnels. This report is a little simpler than the multi-channel funnels report, but still extremely valuable. 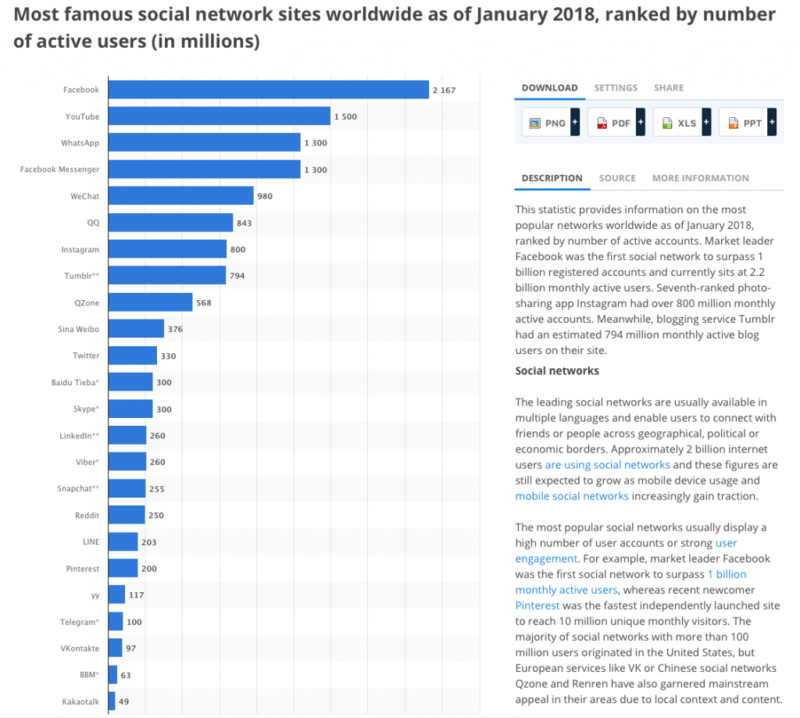 It shows you very clearly exactly how much traffic is being driven by each social network. This is vital information to have. Social media marketing of course requires a significant investment in time and effort. As such, being able to determine which social media platforms are driving traffic for you will help you determine which need the most attention. If, for instance, you find that despite the five hours of work you put into social media marketing on LinkedIn each week, you’re still not generating much interest from the site, it might make sense for you to abandon your efforts on that platform and concentrate more on Twitter, which seems to be really working for you. Alternatively, if you think that LinkedIn should be generating better results, then you will know that it’s time to adjust your strategy. By the same measure, it’s also important to understand which social media platforms are working best for you before you invest in any paid advertising, and the network referral report will give you this information. Finally, the report will give you a detailed breakdown as to which of your URLs are being shared across each social media platform – and again, you will be able to use this information to optimise your social media marketing strategies accordingly. You can access the network referral report by clicking Acquisition > Social > Network Referrals from the side menu, and selecting the date range you want to view. As you conduct your social media marketing, you will of course be sharing posts that direct traffic directly to your landing pages, from where you hope visitors will take important actions such as downloading a piece of content or making a purchase. The Google Analytics landing pages report will tell you which of your website’s pages are enjoying the most traffic, and, importantly, where that traffic is coming from. In terms of Google Analytics, any of your website’s pages can be ‘landing pages’, and not just those specially designed for conversions. By tracking landing pages, you will be able to see which of your website’s blog posts, product pages, and other content are gaining the most traction, and which appeal most to your various social media audiences. From here, it becomes much easier to establish a successful content marketing strategy that will continue to attract social media users to specific pages on your website, and from there enter them into your inbound marketing and sales funnel. 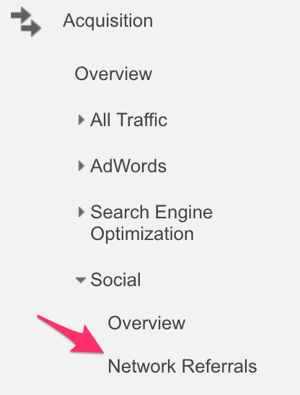 To generate a landing pages report, go to the side menu in Google Analytics and click Acquisition > Social > Landing Pages. Google Analytics will become one of your most valuable and important social media marketing tools very quickly. It can be a little tricky to get to grips with, and to set it up, you will need to embed a small piece of code on each page of your website. Instructions for how to do this yourself can be found here – but you may be more comfortable leaving this task to your web developer. Once set up, however, Google Analytics will enable you to view visitor behaviour on your website like never before, and you can then use these insights to supercharge your social media marketing. If you need help with any aspect of your social media marketing, then please do not hesitate to get in touch with us here at Cope Sales & Marketing – www.cope-salesandmarketing.com. We’d love to hear from you, and will be very happy to chat through your requirements.